Do you love a good Fish Taco? I sure do! Rubio’s Coastal Grill is one of my favorite places to go to get tacos! Good tacos are bested only by good taco deals – which is exactly what Rubio’s Coastal Grill has done for Taco Tuesday. 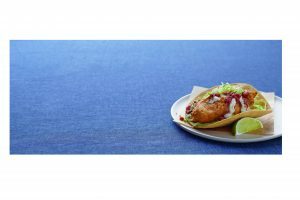 Starting on September 25, the revamped Taco Tuesday will include a $5 meal above all others (RIP Subway’s $5 footlongs) – the Original Fish Taco paired with any beer. A match made in foodie heaven, guests can choose from a selection of Mexican or craft beers to pair with the iconic fish taco that put Rubio’s on the map. I know where I’ll be going tomorrow for Taco Tuesday! 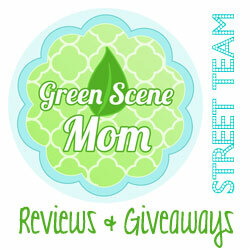 Self Disclosure: I received meal vouchers to check out their delicious tacos and to post. Images were also provided and no other compensation was received. 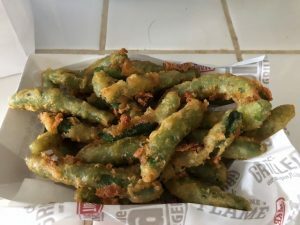 The Habit Burger Grill Spices Up Fan-Favorite With New Sriracha Lime Spicy Green Beans These are a Must-Try this Summer! Only Avail for a limited time! Looking for something delicious this Father’s Day and Summer? I just tried these and I ate them so quickly that I didn’t even take my own photo! Thanks to The Habit for letting me use one of theirs! 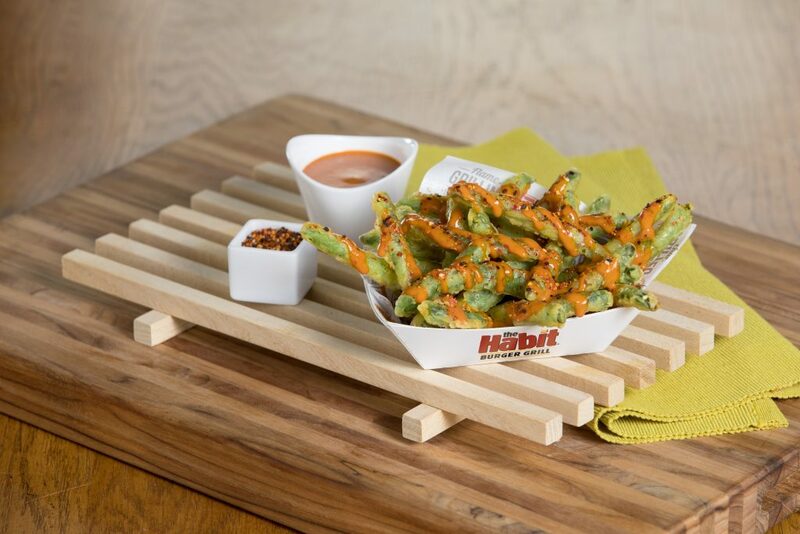 The Habit’s creamy sriracha lime aioli sauce has just the right amount of spice and there’s even a touch of sweetness! They should bottle this sauce and sell it! I also prefer their Tempura Green Beans over french fries and could probably eat them every week! Self Disclosure: I had the opportunity to try these yummy Lime Spicy Green beans to facilitate this post. The image was also provided. 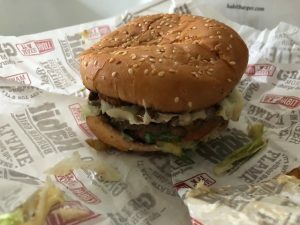 The Habit Burger Grill is a burger-centric, fast-casual restaurant concept that specializes in preparing fresh, made-to-order chargrilled burgers and sandwiches featuring USDA choice tri-tip steak, grilled chicken and sushi-grade ahi tuna cooked over an open flame. In addition, it features fresh made-to-order salads and an appealing selection of sides, shakes and malts. 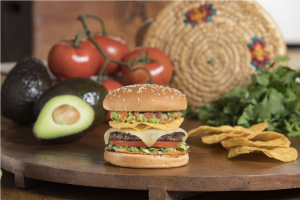 The Habit was named the “best tasting burger in America” in July 2014 in a comprehensive survey conducted by one of America’s leading consumer magazines. The first Habit opened in Santa Barbara, California in 1969. 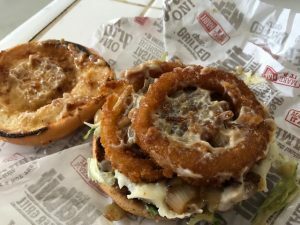 The Habit has since grown to over 220 restaurants in 11 states throughout California, Arizona, Utah, New Jersey, Florida, Idaho, Virginia, Nevada, Pennsylvania, Washington and Maryland as well as three international locations. More information is available at www.habitburger.com. With summer rapidly approaching, parents are looking for fun places to take the kids. California is always a great place for families because there is so much to do and see. With so many theme parks and beaches, there is almost too much to choose from! However, you aren’t exactly thrilled about the prospect of being pushed and shoved in elbow-to-elbow crowds and so you are probably looking for some attractions which won’t be as big, and probably not nearly as dangerous. Not only can you quickly lose sight of kids who tend to wander away if you don’t keep them tightly in hand, but there is always that off-chance that they will willingly go with a stranger, which is every parent’s nightmare. You might want to check on sites like Parent Guide to get tips from other parents who have found ways to keep their kids close in crowds. 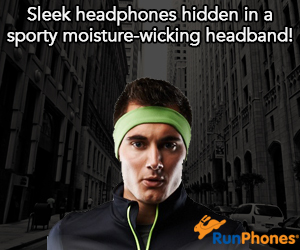 You’d be surprised at some of the innovative ways they’ve discovered. In the meantime, here are some alternatives if you have your heart set on a vacation in California this year. While it isn’t the massive Disneyland Resort, Adventure City is nearby and for some, even more fun. It’s like stepping back in time with roller coasters dating back all the way to the 1940s and a really spectacular place for family photo ops. You will also find a petting farm and a place where the bunnies roam (Canoodle), along with an assortment of larger rides that the tweens would probably prefer. Located just outside of Los Angeles, it’s close enough to downtown where mom can get in plenty of shopping, especially in the Fabric District where materials by the yard are so much cheaper than they are back home. Just to the west of LA is Santa Monica Pier and Beach. Here is where kids can have a field day. Not only does the amusement park date back over 100 years but it’s located on the pier itself. It isn’t Coney Island in the East, but it sure is the next best thing. The amusement park itself is called Pacific Park, and no wonder because, as mentioned, it is actually on the Pacific Ocean – the coast that is! From the park, it’s just a short distance to the long, sandy beach where the family can get a quick dip in the ocean and spend a bit of time resting in the warm Southern California sun. These are just a couple of examples of where you can go that isn’t nearly as crowded or as large as the main SoCal attractions, but they are delightful nonetheless. For a longer list of small but amazing attractions in California, check out the Visit California website. Take your time planning because there is much to offer. You may want to spend a day at Disneyland, Universal Studios, or Knotts Berry Farm, but then again, with so many smaller attractions to visit, you might not have time this summer. Maybe next year, but for now, there’s plenty to do without spending a small fortune. Have fun in the Golden State and see you next year! 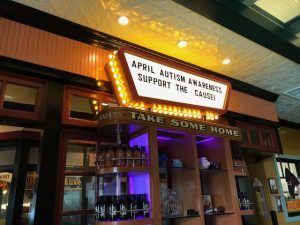 Family-owned, award-winning barbeque destination, Lucille’s Smokehouse Bar-B-Que has teamed up with three autism organizations to raise awareness and funds during the month of April to support the autism community. The three organizations include Autism Speaks, the Southwest Autism Research and Resource Center and the Grant a Gift Autism Foundation. During the month of April, Lucille’s will donate to these three worthy causes through Round It Up America contributions – in which guests “round up” their purchases to the nearest dollar – at all 23 Lucille’s locations throughout Arizona, California and Nevada. For donations of $5 or more made during the month of April, Lucille’s will give guests a $10 bonus card good for a return visit between May 1 and June 30, 2018 (one per table, please). As another way to support these organizations, Lucille’s will be serving up a drink called the “Blue Bayou,” inspired by the color for autism awareness and is made from fresh blueberries & blackberries, 1800 Reposado and Coconut Tequila, Cointreau, fresh lime juice and agave nectar. For each Blue Bayou sold in April, Lucille’s will donate an additional $1 towards the cause. 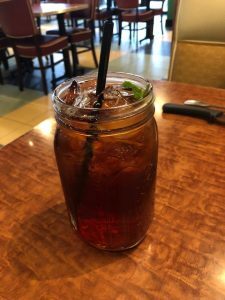 Lucille’s restaurants are reminiscent of a Southern roadhouse with a distinctive Southern décor that features reclaimed wood outline doors and windows for a rustic yet contemporary look. Lucille’s features blues-inspired art throughout the restaurant and the Flying Pig lounge. Lucille’s has been participating in Round It Up America, platform that encourages restaurant guests to donate change; over the past ten years, Round It Up America has collectively raised millions of dollars for charitable organizations and programs across the country. 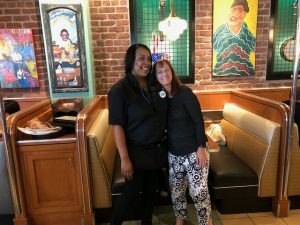 I had the opportunity to visit Lucille’s in Torrance and had a great visit! They have the best food! My favorite is the Southern Fried chicken! It is delicious! The chicken actually seems to melt in your mouth! I am not kidding! My husband loved his meal too! Doesn’t it look tasty? The food tastes great and I love how large the portions are! I also love their Sweet Tea, great choice of appetizers and they have the BEST Banana Pudding! No photo of the Banana Pudding because I ate it too fast! But, you just have to try it! Lucille’s is open for both lunch and dinner and I highly recommend the service at Lucille’s in Torrance! Our server Harriet was simply awesome! 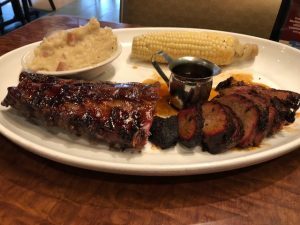 Check out Lucille’s Smokehouse Bar-B-Que this month! Signal Hill, Calif.-based Lucille’s Smokehouse Bar-B-Que (lucillesbbq.com) offers award-winning, savory, Southern-style food in 23 full-service, high-energy restaurants throughout California, Arizona and Nevada. Signature slow-smoked barbeque, flavorful appetizers, soups, salads, burgers, sides and desserts are served with a large helping of down-home, friendly service. 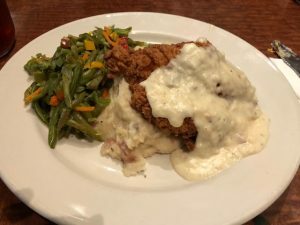 Lucille’s restaurants are reminiscent of a Southern roadhouse replete with its distinctive front Southern decor, and select locations offer live blues entertainment at the Flying Pig Lounges. Family-owned, Lucille’s has plans to expand its unique brand of Southern hospitality to more locations in the future. 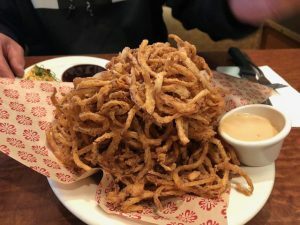 Self Disclosure: I had the opportunity to visit Lucille’s as Media. Images: SoCal City Kids. National Burrito Day is next Thursday, April 5th! Celebrate at Rubio’s! To celebrate this tasty holiday, Rubio’s Coastal Grill will offer any burrito on the menu for $5 all day long (with purchase of a drink). 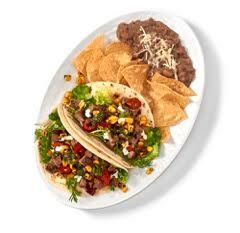 Enjoy Globally Inspired Dishes with Popular Chimichurri Two Taco Plate, New Chipotle Chicken Ranch Burrito and More! Rubio’s® Restaurants, the brand known for its delicious coastal cuisine and popularizing the fish taco, is bringing back its Chimichurri Tacos with added variety and flavor, now available with Wild Alaska Coho Salmon, all natural steak and all natural chicken. The Coastal Grill chain is also expanding its craveable burrito line with Rubio’s new Chipotle Chicken Ranch Burrito. The new dishes will be available beginning April 4 for a limited time. The Chimichurri Tacos feature Rubio’s chimichurri sauce – a savory blend of basil, parsley, garlic and olive oil – fire-roasted corn, Rubio’s signature white sauce, red chiles and mixed greens. Served atop flour tortillas, the Chimichurri Two Taco Plate is available with sustainable Wild Alaska Coho Salmon, all natural steak or all natural chicken. Guests looking for more variety also have the option to mix and match any two. Rubio’s new Chipotle Ranch Chicken Burrito is loaded with all natural chicken, fire-roasted corn, Mexican rice, black beans, crispy tortilla strips for a craveable crunch and creamy chipotle ranch sauce all wrapped in a warm flour tortilla with melted cheese. 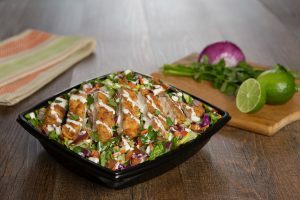 As part of the company’s “Made With a Mission”® commitment – to serve coastal food that not only tastes great, but that its guests can feel great about eating – Rubio’s is also introducing fresh greens drizzled with lemon agave vinaigrette as a new side option. Guests can now choose between the fresh greens or no-fried™ pinto beans and sea salted tortilla chips with any two taco plate or burrito. Credit: Rubio’s. Images and information were provided. Some form of compensation may have been received and I will be reviewing again soon! SoCal City Kids loves Rubio’s!